Want to play the world’s healthiest game for mobile? Amateur Surgeon 4 and Remedy Rush were quirky titles alright, but so is My Hospital, according to its makers, Cherrypick Games. 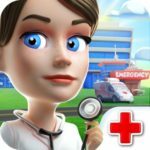 This mobile game gives you the opportunity to create elixirs, farm and harvest medical plants, and create cures for your patients as you try to cure their illnesses. While managing your hospital, you can build new offices for your doctors, diagnostic rooms, laboratories, and treatment centers, as well as upgrading the ones you already have. And since this game isn’t one to take itself seriously, Cherrypick calls the diseases you can cure “quirky” and “funny” – how about patients with slimey lungs, chili throat, frozen hands, and other peculiar ailments? Running a hospital and finding and creating cures isn’t a laughing matter if you don’t know what to do, and there are many things to keep in mind when playing the game. But there are ways to make it easier, and several tips you can follow if you aren’t quite sure what to do in the game and how to run your hospital properly. So join us as we present to you our exclusive My Hospital strategy guide, which features a list of tips and hints that cover all of the important facets of this new hospital management simulator. The game’s tutorial will get you started on the right foot, but it won’t tell you everything you need to know. One example would be the Panacea Collector, which you should be upgrading ASAP. You’ll need to have enough coins in order to do this, but if you have enough on you, make it a point to upgrade it regularly. That’s going to increase its maximum capacity, as well as its capability to churn out Panacea on an hourly basis. Aside from the Panacea Collector, you should also be looking to upgrade your Storage and your Tank, but instead of common coins, you’ll need premium stuff to upgrade those two. These premium items are normally available via item drop, but you can also wait it out and see if the Pharmacy will carry them at some point in the game. If you’re trying to save up on coins, it’s worth it to save up so you can buy premium stuff for upgrades. As a word of warning, it can be quite the challenge to get new medicine. The game has a crafting mechanic in here which you will use to create your cures, and at first, it won’t be too difficult, with only a few select items to work with. But as you progress and make your way further through My Hospital, you’ll have tons of stuff to work with and it could, and will get overwhelming. So how can you ensure yourself of maximum productivity when researching for cures? We would recommend producing the ingredients that take the shortest time to create while you’re actively playing the game, and set up ingredients that take longer if you know you’re going to be away from the game for a while. The machines in your lab need to be working constantly, and if you don’t have anything to do at the moment, specifically tasks you need to complete for the daily missions, you’re better off producing medicines that offer the most lucrative rewards. That’s something you should be focusing on instead of curing everyone at that point in My Hospital; you will reach a time when it will be impossible to attend to all your patients’ needs. It’s always best to play the game as often as possible, but if you do miss some time and stay away from My Hospital for a while, you may be able to find a treasure chest hidden somewhere in your hospital. If you find such a chest, you will be rewarded with lots of free stuff inside, all of which could help you in progressing faster and keeping your hospital up to speed. It sounds like a tempting idea – you may be interested in decorating your hospital, spiffing it up, and giving it your own personal touch. But let’s face it – those decorations are only there for aesthetic purposes, and do not contribute anything in terms of gameplay. When spending your coins, invest in new rooms, new lab equipment, new upgrade items, and other things that can help you progress further. Save the decorations for a time when you’ve got a lot of money to burn, and when your hospital is fairly advanced. Leveling up in the game will unlock new facilities for your hospital, or new stuff for your lab. You may even get to enjoy some new features once you reach certain levels. But regardless of what you’re able to unlock, we would recommend that you work on those things immediately due to the long waiting times. Again, it’s a good idea to set these up before you log out of the game for an extended period of time, such as when you’re about to sleep. You can earn yourself a host of free items in My Hospital, and we’re going to show you what you need to do to unlock them. For starters, you can watch advertisement videos to get some of these freebies. You can also redeem items as they become available – usually, these are timed rewards that are unlocked at a specific time. And you can play mini-games and win prizes for doing well in them. Regardless of how you’re trying to get free stuff, you should always be working to get more of those items, and redeem your rewards ASAP. 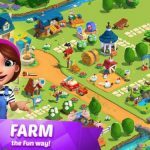 The mini-games in My Hospital are just as they are in most other games – they may seem inconsequential compared to the main game, but you should also be taking them seriously, as they can earn you some free stuff, as mentioned above. One strategy when playing mini-games is not to pay any coins for a new draw for rewards. The only time you should pay coins is if you win 200 coins, which is essentially akin to getting a free draw, should you choose to do so. So if you do win that 200 coins, you may get a completely new item, plus some leftover money after spending for the new draw. The thing with management simulator games is that they often restrict the amount of real estate you have to work with. In My Hospital, your hospital only has so much space, and with that in mind, it’s important to manage the finer details and optimize that space given to you. For example, it might take some strategy to micromanage your lab space, as it could fill up real quick. Place your equipment close to each other, or find other ways to get the most out of what you’re allowed to work with. You have the option to buy expansions so that you have more space to work with, but the thing with these is that they get progressively more expensive. Still, it’s better to buy expansions if you can afford them, and going back to what we told you a few tips ago, don’t spend on the decorations. Not only would you be buying stuff that only offers aesthetic benefits, you would also be wasting space that could otherwise be used on equipment. My Hospital is a game that can be played solo, but there are advantages to connecting your game to Facebook and adding some friends. The primary benefit would be heading to their hospitals and buying items from their pharmacies, and while it may be fun to also compare your progress to theirs, it’s the in-game benefits that you should be looking forward to when adding friends to the game. 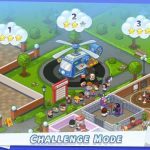 This would be our complete guide for Cherrypick Games’ new mobile title, My Hospital. In case you know additional tips or tricks, that we haven’t mentioned in this guide, please drop us a line! you can go to the pharmacy and tap on an itemto buy. When you get to the other pharmacy, don’t buy the item. Then x out of the pharmacy and go like the hospital by clicking the thumb under thehospital name. They aren’t “friends” necessarily, but you can still get help and help them when you’ve liked and followed a hospital. The easiest free stuff is to visit Dr. Wise frequently, emptying out the pharmacy. His stuff is priced at the default prices, and can be resold for the maximum price. Easy Coins. Upgrade most of your doctors, and makers to 4 slots (cheap upgrades). Then max out the two mixers first, then the maker for nasal injections. These machines produces items you need for a lot of other makers, you need a lot of the stuff coming from these machines. Also max out the slots for the doctor who uses the blue elixir. He produces positive energy at the highest rate which you need for sending patients to the scanning machines. You will need a lot of friends. Add friends who sell stuff, who help you and those asking for help. These are active players. Also like (thumbs up) everyone in your level range, because these will be stored in a separate list you can scan later. Visit everyone needing green help (gardens). It’s free to help in the garden. Also pay a visit to their hospital to see if there are any quick fixes (Vitamin C,B,A, pills, jars). Only help in the the epidemic center if the player has actually done anything by themselves, otherwise, it might just be a waste. Always max out the help you can ask for. Also gift the players you are not able to return a favor to. Do not grow too much of aloe vera, as you can easily buy this if falling short. You’ll need the space to grow the other stuff. Don’t worry too much about the VIP’s, worry about the epidemic center, daily tasks, and the memo list. These are not harshly timed, and you can chill with the game. Before leaving the game to rest, fill up your makers using a lucky minute booster. Push the level bar at the top and switch to the bottom tab to see what you need. Plan ahead so you top up what is important. A minute flies by really fast! When visiting the farmacy, be really quick to buy tools. Always tools first. Then visit those with expensive items (tools might be found there). Then visit friend’s pharmacies. Make sure you have room for at least 20 items. It will be really sad if you could buy 10 hammers and 8 pipes, but you had only room for 7 items. (Next time you visit, those items are gone.) Sell items regularly, so that people want to add you too. Also sell surplus tools, you need to grow your tools stock evenly, as they carry a heavy toll on you storage before you are ready to upgrade. If you have boosters, send away low income/xp patients and pile up high income/xp patients for your boosting sessions. Don’t worry about building up to a round two in the same boosting session. Just cure patients as the come in. Only send away low income/xp patients when you have no time to scan to get the boost, or when there is less than half an hour left of your boost, because then the next patient will arrive after the boost has finished. You might even need to buy Vitamin C during these sessions! After the boosting session send away all low income/XP. Also, check the production time for the medicine. If a high income patients need three 6 hour jars, send him away. That bed can produce higher net income the next 18 hours, because you could also sell 3 jars every 18 hour. Always produce elixir, always keep all your machines busy. Sell or gift the surplus. Always buy the stuff that takes 2+ hours to make (except garden produce). I am about to buy my vitamin maker. Can someone tell me what ingredients I will need to make vitamins? That way when it opens I will have what i will need. I can’t treat any of my patients in the treatment rooms because they all need what looks like Vitamin C.